A summary of recent updates to Kalix. In preparation for Kalix's Scheduling Widget this update contains a number of changes to Kalix's appointment calendar. We are progressing well on this upcoming new feature. Stay tuned for more info soon. We have released another big change to document and template saving. Kalix now supports having multiple documents and templates opened at the same time. Kalix will also save and store a unlimited number of documents and templates with unsaved changes. To view documents and templates with unsaved changes, click on Docs on the top header, followed by New then Doc. On the New Doc page, you will see the notification message above, click on the template's or document's name to view and edit. For more information about document saving, click here. We have released two new Appointment reminder merge fields. [LOCATIONADDRESS] - use to include the full appointment location address. [APPOINTMENTTYPE] - will include the appointment type in the automated reminder message. As requested, we have made improvements to the Edit/New Appointment screen. The new field - Details was added. This field will allow you to add any information which wish you wish to view via the appointment slot. 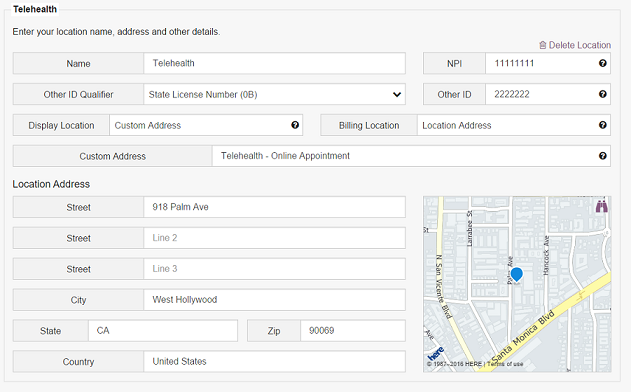 The appointment address field is now also available. Click here for further information about the Edit/New Appointment screen. This new update will allow you to 'hide' appointments from your appointment calendar that have the status of rescheduled or canceled. The options to modify your calendar view, have been simplified and moved to the bottom of your calendar. Now you can quickly change your calendar's displayed time range and time increments as well as view or hide weekend days, click here for more information. We have also cleaned up the Organization Details section of Kalix. We have made lots of improvements to Locations in Kalix. These changes are to in order to get ready for Online Scheduling, as well as to better support virtual type appointments e.g. telehealth and home visits. Click here for further details. Kalix now allows you to filter your appointment calendar per location. either view each location's calendar alone or along side others. Please note: appointments that were created prior to this update cannot be filtered by location. To enabling this feature on already created appointments, click on their appointment slot to view the Edit Appointment screen. Now reselect your location, then click Save. Kalix allows you to set up your locations' and clinicians' availability, click here for information. Kalix allows you to share documents and forms in a ready-only (cannot be edited) format. This added functionality means you can use Kalix to share created documents and forms e.g. chart notes, with other health professionals. To better reflect this change, we have renamed the functionality - Share with Others. Click here for details and to view the supported merge fields. The bug affecting the next appointment date (follow-up date) has been fixed. Kalix will now send out automated reminders for appointments with the status - Confirmed. We have fixed the bug that caused some templates from the template library not to copy over correctly to users' accounts. The "owner" of uploaded client files can now delete them not matter their account access level (not just directors). When choosing to view multiple clinician appointments at once, appointment slots no longer overlap each other. Improvements were made to start and end time appointment fields - additional accepted time formats were added. 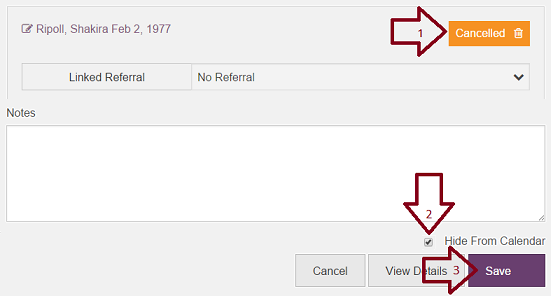 We have made it easier to double click on the appointment calendar's start time to create a new appointment.